On October 16, 2015, The Brown Family were on their way to pick up their daughter from school. While slowing down behind a car at the intersection of Mosholu Parkway and Southern Boulevard in Bronx, New York; The Brown Family was struck from behind by another vehicle. The force of the rear-end collision caused the Brown family’s vehicle to collide into the car ahead of them. Mr. Brown and their baby (in the back seat) were not badly injured, but Mrs. Brown was injured in the collision unfortunately. Right before the accident, Mrs. Brown was reaching to give her baby a pacifier and hit her left arm on the chair when the accident occurred. The Brown Family were taken by ambulance to Jacobi Hospital. As a result of the accident, Mrs. Brown sustained injuries to her neck, back, left shoulder and arm (partial rotator cuff tear). To make matters worse, Mrs. Brown was already recovering from a previous accident that occurred two months prior to this accident. After the accident, Mrs. Brown described the worst area of pain in her back that worsened with lying down, sitting, or walking for a long period of time. The Brown Family had a cousin that suggested they contact Adam Handler. 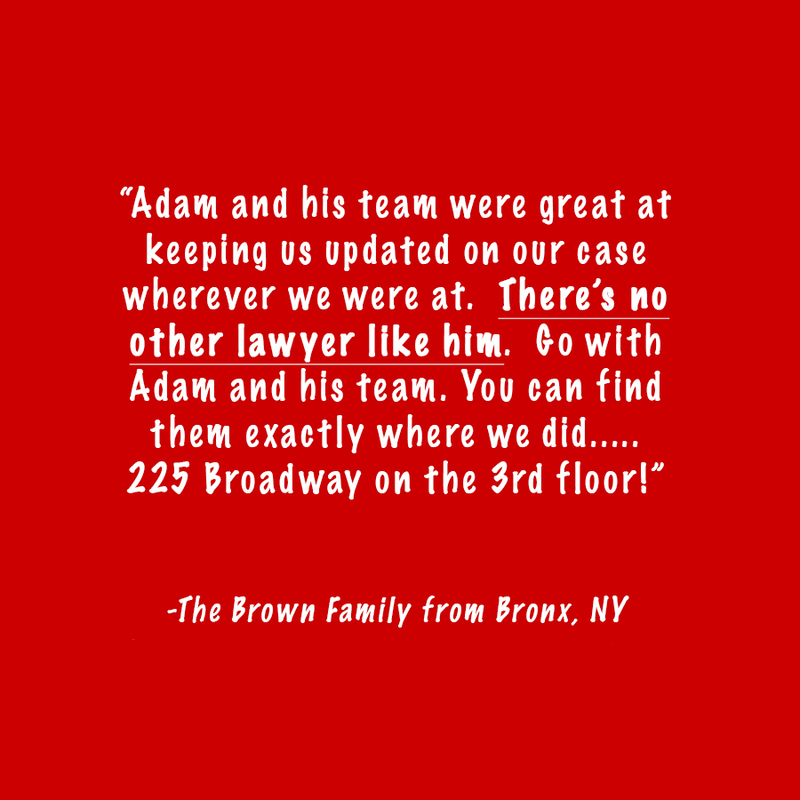 Thanks to the kind recommendation of our past client, The Brown Family choose The Case Handler team. Considering Mrs. Brown was previously injured, we knew the insurance company was going to do everything in their power to diminish her injury claim and point their finger to the other accident as the cause of her injuries. With the help of our experienced Bronx family car accident lawyers, we knew how to properly handle a client with multiple accidents and successfully recovered a fair settlement award from the defendant insurance company, Philadelphia Insurance.